As a Viterbi student, your experience is heightened with active participation in student organizations! The student organizations listed below eagerly accept Computer Science students as members. Please also visit the full list of Viterbi Student Organization and USC Student Organizations for even more opportunities to get involved and expand your life! If you are a leader of a recognized Viterbi or USC student organization and would like your group to be featured on this page, please contact csdept@usc.edu. If you are interested in starting your own student organization, please visit the Viterbi Office of Student Engagement and Career Connection’s resource page for student organizations and leaders. We are USC’s premier computer science organization, dedicated to bringing you industry networking events, hackathons, workshops, mentorship, and an engaging community. Application Info: Open to Undergraduate and Graduate CS students. Apply online. USC ACM SIGGRAPH is a student organization all about computer graphics. Our mission is to promote the application and knowledge of computer graphics, 3D animation, and interactive techniques to students, and to train them to be prepared for entering the professional world of computer graphics both artistically and technically. We are an officially recognized student chapter of ACM SIGGRAPH, the special interest group of ACM focused on computer graphics. Application Info: Open to anyone interested in computer graphics! Events are free for everyone. Applab is a community of passionate mobile developers—although no prior experience is necessary to join. Learn through a carefully curated curriculum that teaches you fundamentals of a mobile development platform. Afterwards, build a real world app. Either start something from scratch or build something for industry/non-profit client of ours. Every semester we’ll learn about a different topic within mobile development. Potential topics include React Native, iOS, Android, Flutter, etc. Application Info: Open to all majors and years (undergrad and graduate). Application available at the beginning of each semester: Apply online. AAAI at USC is an organization that hosts lecture events, workshops, social events, and networking events related to artificial intelligence open to all undergraduate and graduate students at USC. Learn more about the organization at our website. Application Info: Open to all – subscribe to emails on our website! USC’s Autonomous Underwater Vehicle Design Team is a student-run organization that creates an AUV each year to compete in the Robosub competition. By employing industry standard programs and techniques, USC AUV ensures that all members have a hands-on, practical engineering experience outside of the classroom that can be utilized in their future careers. Every step of the design process, from planning, to fabrication, to testing, is decided by student members of the team. Each member is given their own individual project to complete, ensuring that every member makes a significant and direct contribution to the team. Overall, USC AUV serves not just as a student organization, but also a way for each member to be prepared for their future careers in their chosen field. Our goal at BITS is to help impact the USC community through technology, help new developers gain a valuable learning experience, and give adept programmers some leadership experience. Essentially, members will form teams and work on projects that are intended to impact the life and experience on campus. Furthermore, we want to hold workshops as well as networking events to hopefully get our members acclimated to the tech industry. Email us with more questions! Application Info: Open to Undergraduate and Graduate students. Call sent out for applications early each semester. CAIS++ (pronounced “case plus plus”) is a USC Viterbi-affiliated student organization that serves as the student branch of the USC Center for Artificial Intelligence in Society (CAIS). Through our partnership with the USC School of Social Work, our students work to promote the development of AI applications for social good. Application Info: Our semester-long AI curriculum program is open to undergraduates only (application info available at our website). Other programs/events are open to all students. We are a group of computer science PhD students that organize events for our fellow classmates. Typically we are in charge of planning monthly lunches, welcomes events for the incoming first years, visitation days for prospective students, and holiday parties. Our goal is to build more community in the PhD cohort. Application Info: Any current CS PhD student is allowed to join the committee. Please email us if you are interested in joining the group! Girls in Tech is an organization that encourages female college students to pursue future careers in technology by hosting educational events, workshops, panels and company tours to empower and inform students about the different career paths in the industry. Application Info: Open to everyone. $25 dues to be a paid member that guarantees full access to all events. Graduates Rising in Informatics and Data Science (GRIDS) is the first graduate student organization within the Department of Computer Science at the USC Viterbi School of Engineering. Our mission is to advance the academic and professional interests of Informatics and Data Science students at USC through experiential learning, corporate partnerships, and engaging networking opportunities that build community. Application Info: Open to graduate students in Informatics and Data Science. HackSC is a better hackathon than the one you’re thinking of right now, let’s tell you why. 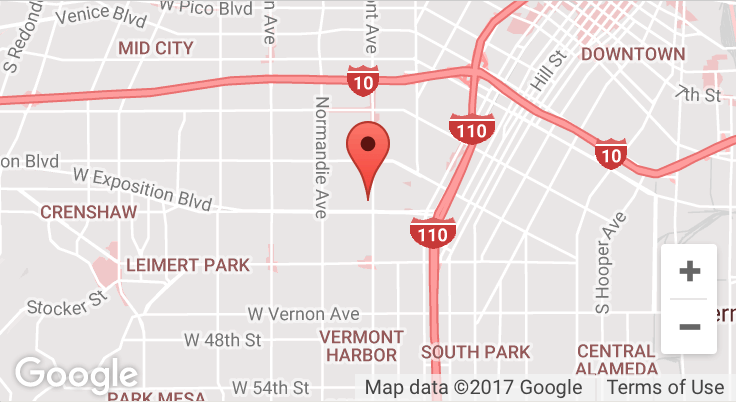 Located in the heart of sunny Los Angeles, HackSC will provide a weekend full of innovation, connection, and education. In an interdisciplinary endeavor, join together with 800+ hackers, designers, and visionaries to engage in workshops, listen to speakers, and develop programs, tools, and relationships that can last for life. Coming from USC, HackSC seeks to breathe some of Southern California’s life and culture into the field and world of tech. We hope to have you join us! Application Info: Open to all USC students! Hyperloop at USC is a SpaceX Hyperloop Pod Competition team working hard to make the next generation of high-speed ground transportation possible! We’re a group of over 20 Viterbi CS, EE, and AME students designing and constructing an electric vehicle capable of reaching speeds of 330mph under its own power. Our members work closely with SpaceX engineers every week to ensure that our design meets their performance and safety requirements, so there’s no better opportunity to get exposure to employees and recruiters at one of the most innovative and transformative technology companies on planet Earth. LavaLab is USC’s product incubator, creating entrepreneurs out of USC’s best engineering, design, and business minds. The program exists in three parts: first, a comprehensive curriculum that guides members through every step of creating a product — from ideation to wireframing to prototyping to user acquisition strategy, and more. Second, LavaLab hosts biweekly dinner nights with industry professionals; notable guests include Elon Musk, Arielle Zuckerberg, and John Bates. Third, and most importantly, is the immersive community that LavaLab facilitates — when you join, you’ll meet the most talented students at USC and collaborate with them on your product and socially. Application Info: Applications are open to any student who demonstrates excellence in some related discipline and shows dedication to learn. LavaLab traditionally accepts between 25-30 people per semester to join new teams, and has about 200 members in the broader community who have already gone through the program. The Los Angeles Technical Consulting Hub is a USC student organization that provides pro bono technology strategy consulting services to businesses and organizations in the Greater Los Angeles Area. Our group takes our clients from the discovery phase to implementation. Previous clients include members of the LAUSD, the USC Provost’s Office and Kaspect. Makers was started with the vision of promoting more hardware innovation at USC. Our members have the opportunity to join a team or form their own and pursue a project of their choice. Perks of membership include a guaranteed spot at one of our workshops, industry talks from tech companies, and a tight-knit community. Application Info: Apply at http://viterbimakers.usc.edu/. Open to all majors undergrad and grad. The Makers of Entertaining Games Association is a student-run organization which strives to promote and facilitate the art of game creation within the University of Southern California. MEGA holds open weekly meetings and events for a large community of students from many disciplines. This club is officially registered with the University of Southern California, the USC School of Cinematic Arts, and the USC Viterbi School of Engineering. Application Info: Open to everyone! Attend a weekly meeting and sign up for the mailing list. Novus Think Tank is an interdisciplinary issues-based organization that channels the growth of our members into creative, team-based problem solving. Through training in self-actualization, critical thinking, and emotional intelligence, we produce confident, motivated leaders who are capable of initiating change in the world around them. Novus members attend general meetings, which offer a time for crafting a personal philosophy, hearing from researchers, professors and CEOs, and forming friendships and a sense of community. Members also work in committees to tackle specific social issues; past committee focuses include Sustainability, International Philanthropy, Collaboration, Gender Equality, and Education. Within their committee, every member grapples with the nuances of an issue and has a stake in searching for creative, compelling solutions. Application Info: Novus is open to all undergraduates at USC. As a diverse group, Novus is looking for members who share our passion, diligence, and optimism, and who bring a unique perspective to their work. Don’t feel like you fit the norm? You’re just who we’re looking for. Project Athena is a student organization at USC that works year-long to plan AthenaHacks, an all-female hackathon. We strive to create an event in which people from all backgrounds and skill levels can learn and build together. Application Info: Every year we recruit new members from any background (undergrad or graduate and any major) to help us organize AthenaHacks. Scope USC is the computer science organization that teaches technical, “hard” skills. Computer science academic work is often a solitary practice, and Scope challenges USC students to develop the projects they’ve always imagined building as a community. We get visits from the pros of major tech companies to guide us on our mobile and web development projects. We’re looking into learning to develop in new tech frontiers like VR, AR, AI, ML, and more. The developer in each of us is thrilled to build our ideas into software, and doing it with the #scopesquad is always a great time! Application Info: Undergraduate only. Not exclusive to CS majors, but development experience highly encouraged. Sigma Phi Delta (ΣΦΔ) is an international social-professional fraternity of engineers. Founded at the University of Southern California in 1924, the fraternity has expanded greatly over its 93 year history. Our organization is the only fraternity of its kind that draws its membership exclusively from male engineering students, and strives to maintain close relations with its sister sorority, Alpha Omega Epsilon. A vast alumni network enables a breadth of professional events to occur each semester, with social events running concurrently. Interested candidates should attend recruitment or talk to an active member for more information. Application Info: Formal recruitment takes place at the beginning of the spring and fall semesters and is open to all male engineering students. Students should contact us, speak with a brother, or attend recruitment for more information. Spark SC is an undergraduate student organization that launches campus-wide initiatives to grow USC’s entrepreneurial ecosystem. Spanning across disparate majors, Spark members all work toward a uniting goal of creating and launching initiatives capable of great impact on campus. Each semester, both new and returning members choose which committees they would like to join, and work in small teams with a handful of fellow members. Applications open at the beginning of each semester. Application Info: Spark SC is open to all Undergraduate majors. Visit https://sparksc.org/ to learn more. TAMID is an exciting, national organization that provides undergraduate students with an unparalleled opportunity for experiential learning in the world of business, finance, start-ups and technology. Our students engage in an immersive education program to learn the ins and outs of consulting and fund management. TAMID members then have the chance to join teams that will offer pro-bono consulting to Israeli start-ups in a variety of fields ranging from medicine, technology, media and much more. As an apolitical and non-religious organization, we welcome students from all backgrounds to join our vibrant and growing community! We accept applications at the beginning of each semester, and are already looking forward to working with a new passionate class of future leaders! Application Info: Open to Undergraduates of ALL majors. Call for applications goes out each semester. We are the University of Southern California’s student-run blockchain organization. Our mission is to curate blockchain adoption through collaboration by providing education, community initiatives, and career development to our members and the USC community. We bring in industry speakers, company showcases, workshops, blockathons, and top-tier recruitment to provide lasting value and grow USC’s blockchain scene. Application Info: Membership is open to all USC students, applications are done on a semester basis and can be completed on our website..
TCG provides pro bono strategy consulting services to businesses and nonprofits across the nation. Working with one client a semester, TCG has served over 30 entities by leveraging the analytical and business acumen of our members to solve real-world business issues. Our past clients include Arc’teryx, Boeing, Teach For America, Chevron, The Cosmopolitan of Las Vegas, and more. The USC Aerial Robotics Team is a completely student run organization in its 8th active year. We focus on developing and expanding the unmanned aerial vehicle (UAV) industry by competing in the International Aerial Robotics Competition (IARC). Seeking to create innovative software architectures for autonomous navigation of drones without the aid of global position systems, we work on advanced computer vision algorithms and path planning systems to identify visual goals and land on top of moving targets to achieve new technological breakthroughs in the area of autonomous flight control. Application Info: Open to all CS students and CS-related majors interested in working on drone A.I. and control. Apply online. VRSC is the University of Southern California’s premiere immersive technology student organization. We promote community & provide education and resources for Southern California’s virtual & augmented reality enthusiasts. VRSC is the heart of VR and AR at the #1 university for immersive media research. Application Info: VRSC Membership is restricted to USC students and alumni only – though some of our programs are open to non-members. Apply online. Viterbi Graduate Student Association (VGSA) promotes interaction among graduate students in the Viterbi School of Engineering by hosting various academic and social activities. Our activities provide cultural awareness (i.e Chinese Moon Festival, Music of the World), fun and excitement (i.e Viterbi Con, Tailgates, Alumni-Student Mixer). One of VGSA’s foremost goals is to facilitate a safe open environment at events for ALL engineering students so that they might meet fellow students and members of industry. Application Info: VGSA strives to address the needs and concerns of graduate engineering students by holding elections every semester for department representatives. Every VGSA member is dedicated to enhancing the academic and cultural experience of the graduate students of Viterbi. Every student has access to all events organized by the VGSA members. WIC seeks to create a support ­group environment for undergraduate and graduate women pursuing computer science or computer engineering degrees. We do not exclude anyone, especially based on gender; all who possess a general interest in computing are welcome. Through speakers, panels, corporate recruiting, and mentoring events, WIC exposes women to different career paths and fuels an innovative spirit through various workshops. It is the organization’s intent to help women in underrepresented majors such as computer science and computer engineering gain encouragement from their mentors and peers. WIC fosters a collaborative atmosphere that helps women remain on the computing path. Application Info: Open to everyone, find us on Facebook and attend events! We don’t have any dues and invite everyone to join us!